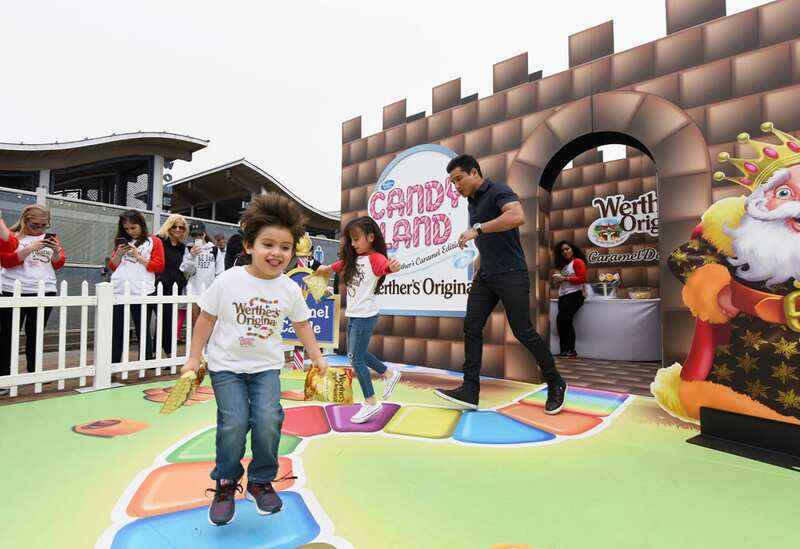 Werther’s Original may be known for its classic hard caramels, but its portfolio includes a variety of other sweets, so on National Caramel Day (April 5) the brand leveraged one of the country’s most iconic board games to help underscore its offerings. 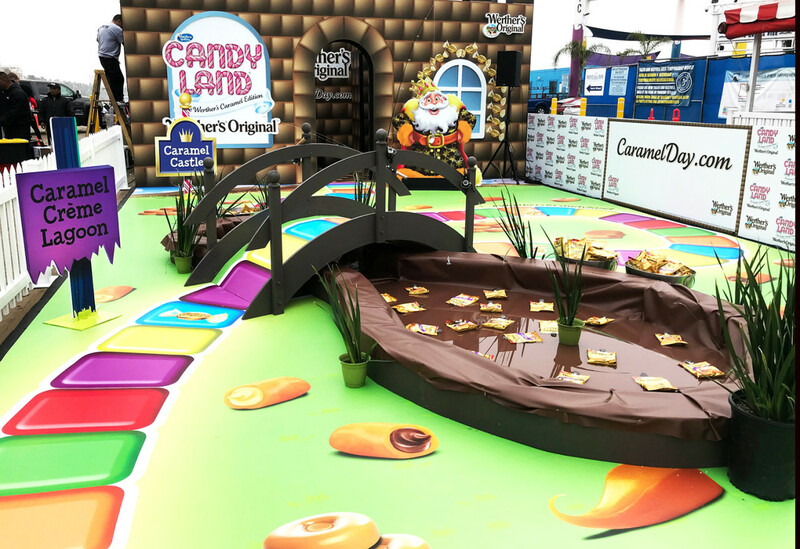 Enter: Candy Land—The Werther’s Caramel Edition. 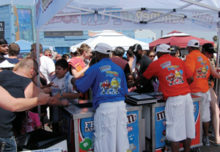 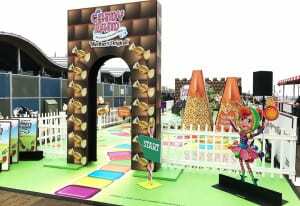 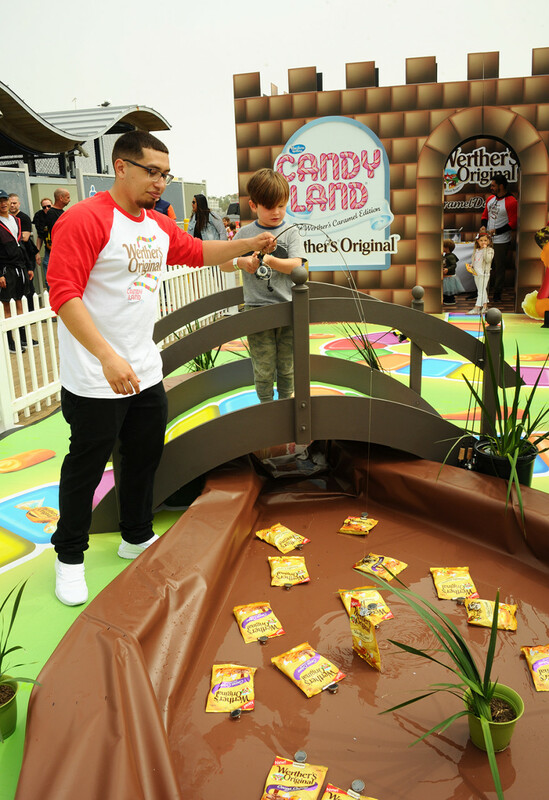 The life-sized pop-up experience on Santa Monica Pier replaced the original game’s popular sites, like the Candy Cane Forest and Gum Drop Mountain, with product-themed regions, giving consumers a chance to snag samples of its confections at each stop. 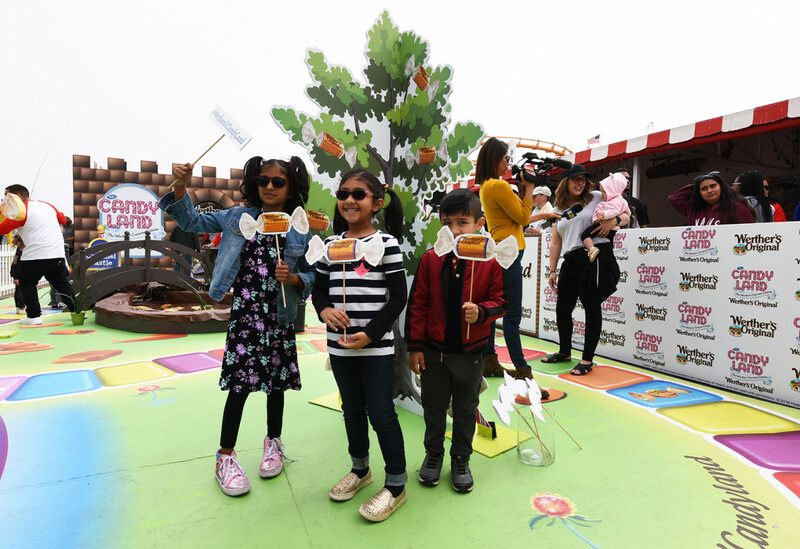 The nostalgic, one-day activation proved to be a sweet success, attracting long lines of multi-generational attendees from start to finish. 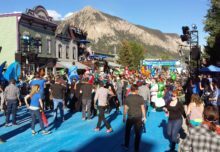 The experience kicked off by the iconic Route 66 sign with help from an emcee who kept the energy high throughout the day. 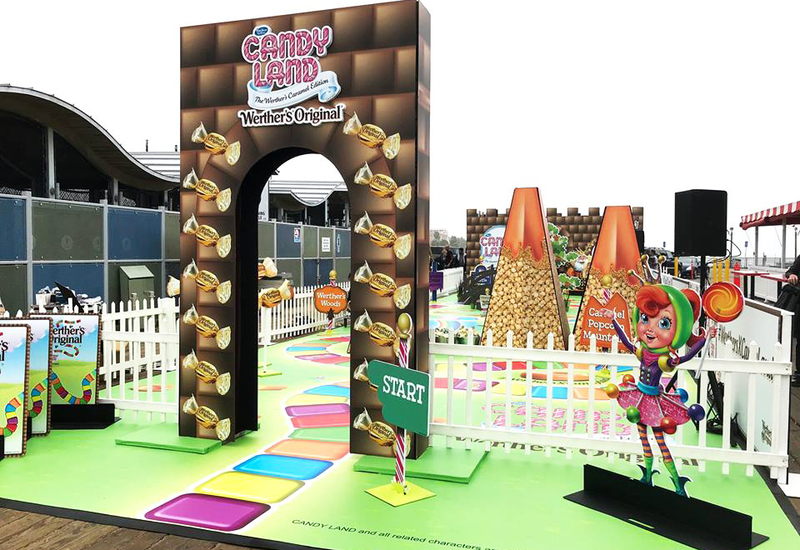 Upon arrival, attendees were given a playing card, just like in the real game, which sent them to one of three candy regions. In the first region, the Caramel Popcorn Mountains, which featured cardboard cutouts of popcorn mounds drizzled in caramel, consumers could choose between a sample of Werther’s Sea Salt & Pretzel or Classic Caramel Popcorn products. The second region, Werther’s Woods, served as an Instagrammable moment enhanced by brand-themed photo props. Over in the Caramel Crème Lagoon, the game’s third and final candy region, attendees used real fishing rods to fish samples of Werther’s Cocoa Crème soft caramels out of an artificial pond, and kept whatever they caught. 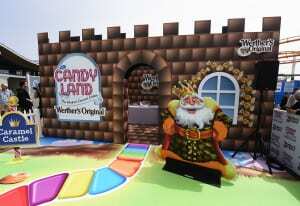 The last stop was, naturally, the Caramel Castle where participants were greeted by a cardboard cutout of King Kandy. 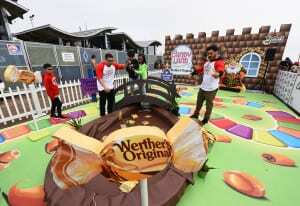 Attendees left the experience with a sample bag chock-full of Werther’s full portfolio of products. 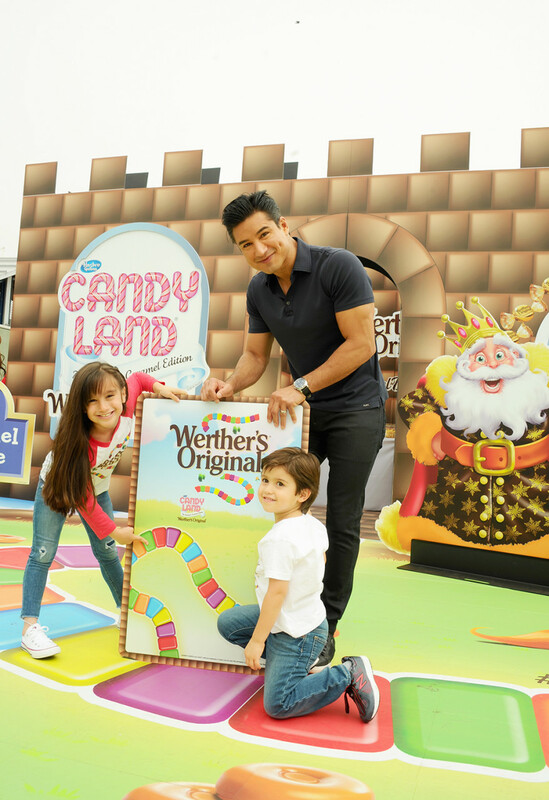 As an added bonus, some attendees also rubbed shoulders with TV star Mario Lopez, who participated in the game with his wife and two kids. 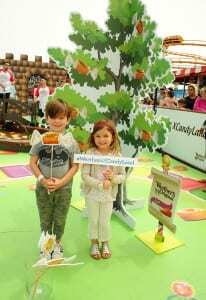 To extend the campaign to digital fans, the candy brand teamed up with Candy Land publisher Hasbro, which handed the keys to its kingdom over to Werther’s to create a digital extension of the campaign. Efforts included a 360-degree video and a microsite featuring a digital version of the reimagined game. “The goal here was to create an interactive way for consumers to experience Werther’s on National Caramel Day,” says Meredith Suffron, director of marketing at Werther’s Original. 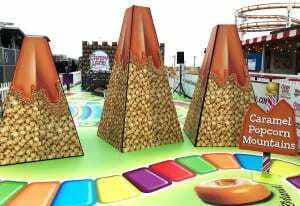 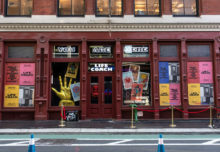 “We really wanted to highlight our portfolio and find an engaging way for consumers of all ages to enjoy the products and have a shared experience.” Agencies: Agency H5, Chicago (creative); G&C Event Productions, Temple City, CA (activation build); Oxford Communications, Lambertville, NJ (digital).